Rehab is no party. Everyone who has signed up for a drug or alcohol rehab program knows that it involves a lot of work and perseverance. It isn’t simply about signing up, showing up and letting it run its course. When getting clean, the most important thing is your attitude, because you are the one who will need to work to figure things out, both within yourself and on the outside. Drug and alcohol rehab centers often offer complete programs that include the whole deal, from the detox process to getting you back on your feet and even providing aftercare options so that you will stay clean. This might be one of the most valuable things they can offer you. If you have been through a drug and alcohol rehab program, you know how hard it is to come out victorious. A lot of people give up along the way, and if you were strong and resilient and managed to come out on the other side, you probably value the effort and hardships you put yourself through. Having said this, you are now at a different stage of life, but this doesn’t mean things have gotten easy. If you were resourceful and took advantages of the aftercare options your treatment center had to offer, you probably joined a group where you receive support and care that makes a very important difference in your life. 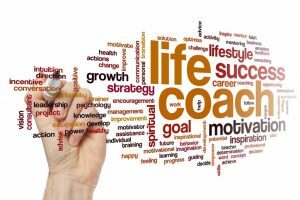 As mentioned, a life coach can help you figure out what you want out of life. Whether you want to get back to some of the things you lost over your addiction or you are ready to try on new things and new challenges, he will help you decide on the path that works best for you. Staying on track. A life coach, a lot like your support group, will help you stay on the clean path, but he will help you do it by asking you to search within you the reasons why you want to stay on that track. His help will cut in a little deeper and make sure you are doing it for the right reasons. Self-understanding. Through the help of your life coach, you will dig deep within you to understand why things happened the way they did; this, in turn, will give you the tools you need not fall back into drugs when an opportunity arises. Unconditional listening. Your coach will be there to listen to you no matter what. You will be able to vent and speak out your mind without worrying about being judged or about misunderstandings. In a life coach, you will find someone you can fully trust in who will be looking out for you. Finding meaning. It is one thing to have goals and motivations, but it is also important to find the meaning in things. Why are you doing it? How does it affect you physically, emotionally and mentally? What are you getting out of your decisions or what are you losing? Motivation. A life coach will root for you at all times. He will believe in you more than you believe in yourself and will help you develop this appreciation for yourself.